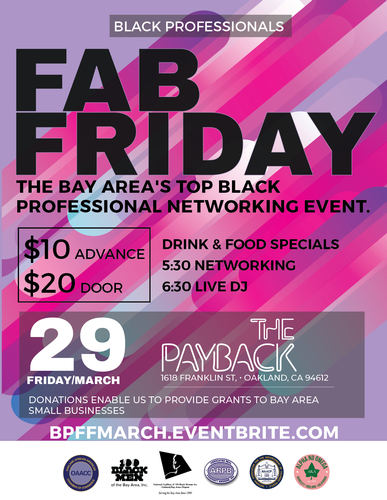 Join the Black Professionals' Fab Fridays' squad for the Bay Area's top Black professional networking event. This event is meant for all like-minded Black professionals and entrepreneurs in the area. It assists you in connecting with a network of entrepreneurs, business owners, and millennials. Get your tickets today! Donations assist us in providing grants to entrepreneurs and small businesses. This is an event that you don’t want to miss in a place you’re bound to make connections.